I thought I'd write a post on how to set up a starter kit of commonly used sensory/play materials for those of you who are just getting started. Every person has their own preferences, of course, but here's a list of what I'd buy (and why!) 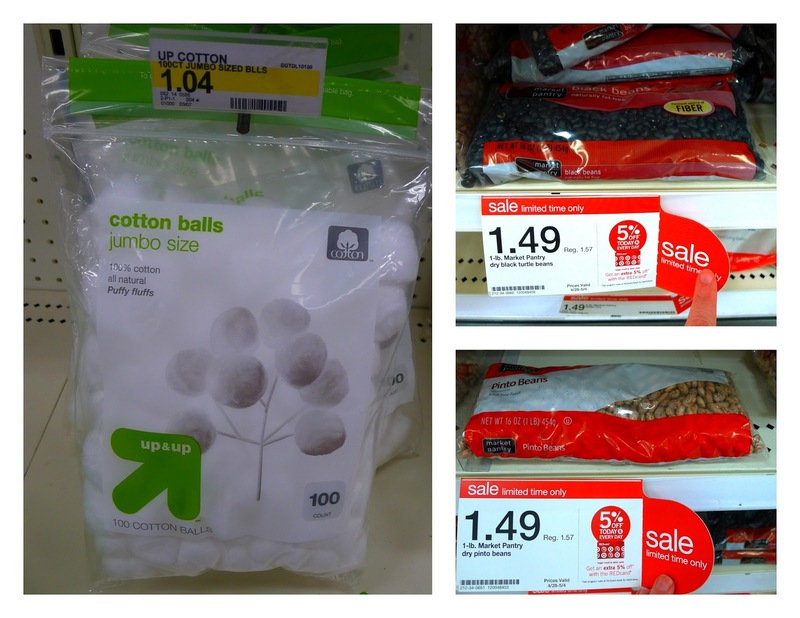 if I had a budget of $20 and could only shop at one store - Target. 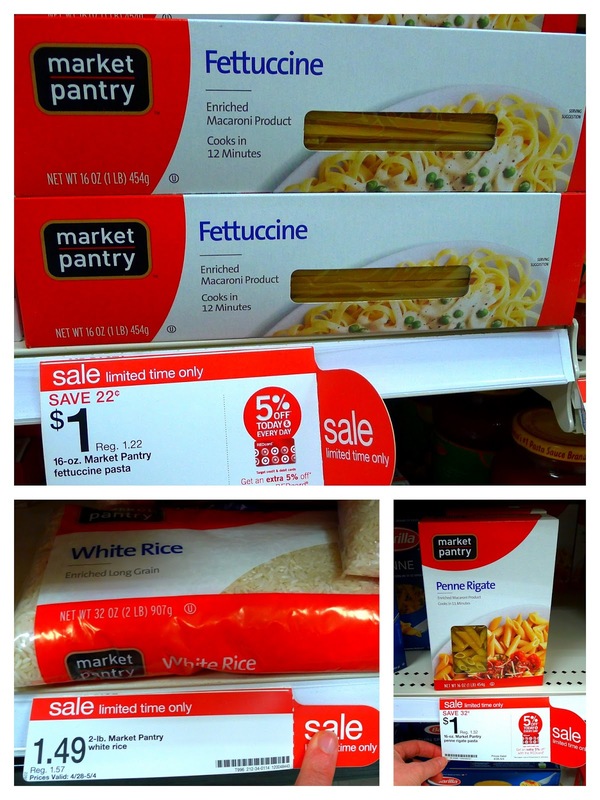 I picked Target because it seems to be everywhere in the US, and ought to be pretty easily accessible for most of you. I'll be back in a few days with the Dollar Tree Sensory Starter Kit. 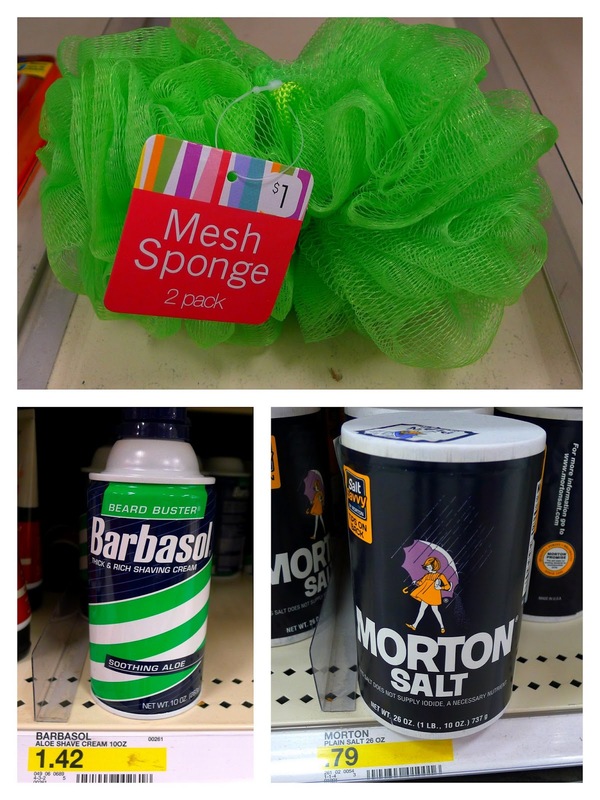 I found these two for one mesh sponges in the Dollar Section - since one of our favorite activities is setting up a Washing Station, I wanted to be sure to include these. Next I grabbed shaving cream. Shaving cream is such a fun sensory experience and we love it! We've used it in a Shaving Cream Search and in our Dragon World small world. We will be sharing even more ways that we use it as time goes on and I write up more of our activities. It's a definite must-have. Next I included salt. Salt is so fun just by itself as a sensory item - you can draw in it, write in it, pour it, scoop it, etc. We most notably use it with our Funnels and Tubes, but you will see more of it in future posts as well. 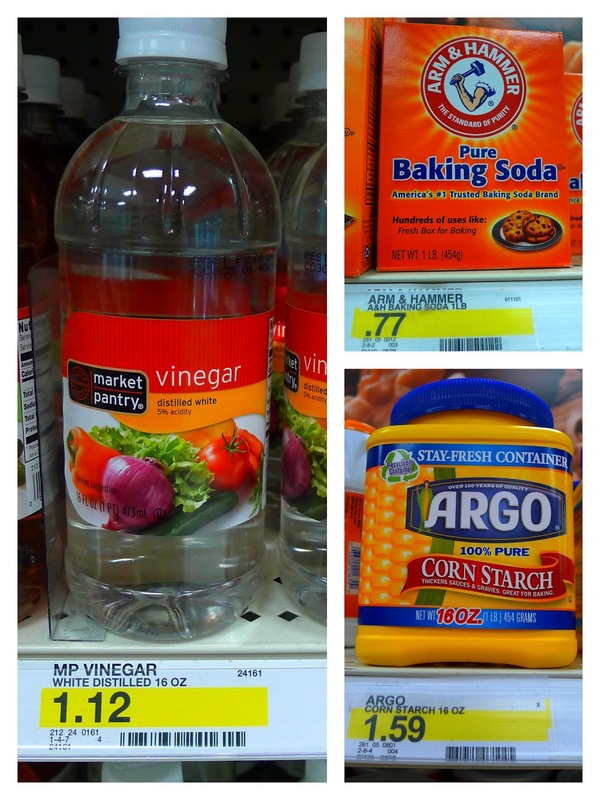 Baking soda and vinegar are another favorite item around here. Just by themselves they are loads of fun. We've also used them to make Fizzing Gelatin, a Fizzing Hidden Ocean World, Fizzing Rainbow Slush, and even in our Fizzy Foaming Car Wash, to name a few. Cornstarch is my favorite sensory item, so I for sure had to include it! You could use it plain, or add water for a super fun sensory exploration, or even make it into Pretend Frozen/Melting Ice Cream. It's also great in small world play, as in my Dinosaurs and Sticky Mud world. Pasta and rice! These are fun plain, or you can color them following either of the two methods I outline in this post on Coloring Rice (follow the same steps for pasta as you would rice). You could use the fettuccine noodles to make my Dirt and Worms sensory bin, or you could use them to make Rainbow Spaghetti. You could do a Dry Pasta sensory bin with the penne pasta, or you could string them and make a pasta necklace or bracelet. You could use rice for Rice Play or for a Rainbow Rice Sensory Bin. If you have a baby or toddler, you might want to substitute cooking oil for baby oil - because I'm including this with the flour to be able to make Cloud Dough. And the gel colors were the only type of food coloring Target had - but they are included to be able to add color to your sensory bins (not necessary, of course, but for added fun). With cotton balls, you could do the Wet Cotton Ball sensory play or you could make Baked Cotton Balls, either of which are so much fun. And if you have some of the previously listed items, I included black beans and pinto beans (or dried oats - not pictured) as possible substitutions - they make a great sensory material as well as fill for small world play. Though I was able to find much of what I wanted to include, I was disappointed to find that there were no miniature plastic figurines, foam sheets, or glass decorative gems. 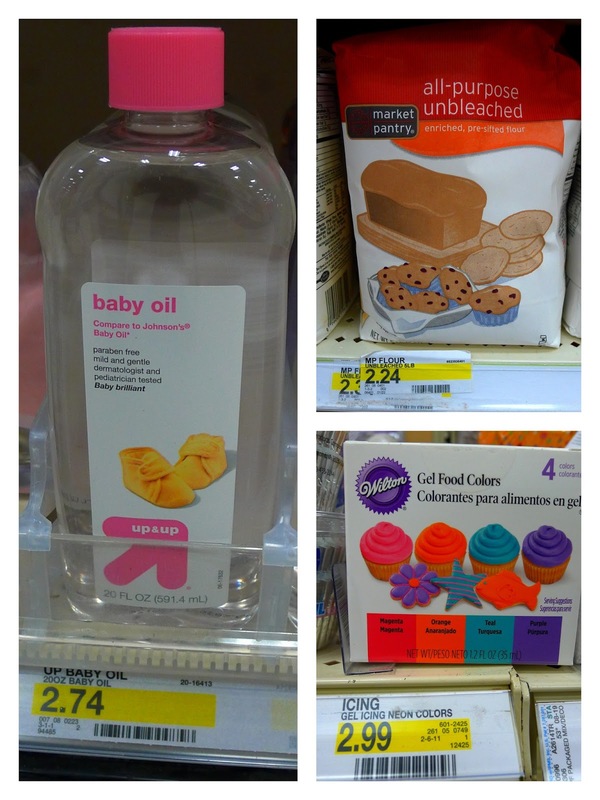 I use those three items all the time in our sensory and small world play and I would have liked to include them. All three of those things can be purchased at Michaels or another craft store (or the Dollar Store) - if you're willing to make an extra stop. And lastly, if you have the budget and a child who is no longer tasting/putting things in their mouth - I would strongly recommend purchasing liquid watercolors over food coloring. Great List! I frequent Target far more than I'd like to admit;) I was just wishing the other day that they had a better selection of miniatures. I did find some insect miniatures in the party section though. I want to say they were about $3. Thanks, Jessica! Oh, that's good to know that they did have some miniatures there. I wonder if mine was just cleaned out? The party aisle was looking a little sparse when I was there, hahaha. Wow! I love this list! It is a great resource for starting. You are so resourceful and what a great idea for starting out! Pinning. A few other things to add: Oatmeal, paper to tear (Pre-| Cutting Skills), water and soap to wash babies or dishes, bird seed. When studing about the ocean I add blue to the water and a package of frozen spinach to represent seaweed. Always a favorite.